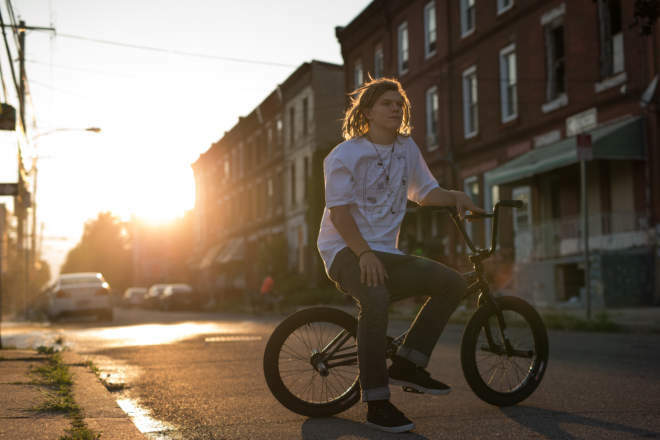 After Johnny Raekes’ last edit, “No Sleep Out East”, it’s safe to say he’s solidified himself as one of the top amateur riders in the game! 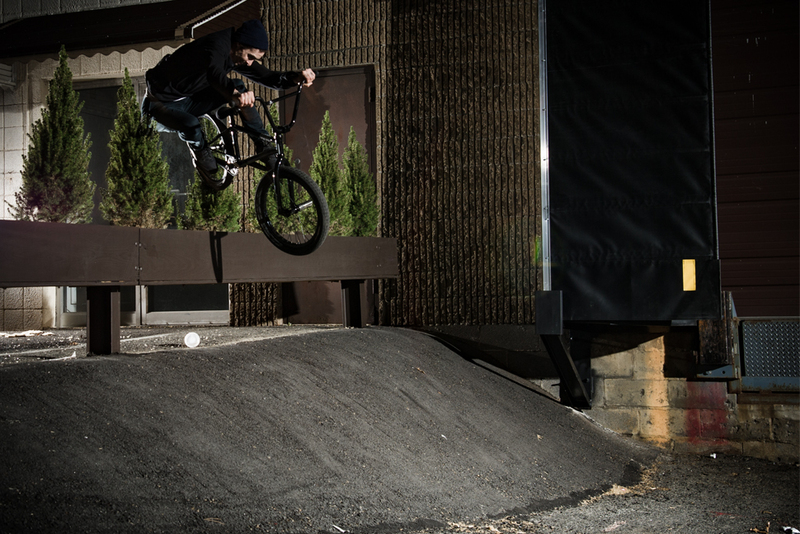 Johnny is at the forefront of progression, pushing the crankflip into never before seen combos! 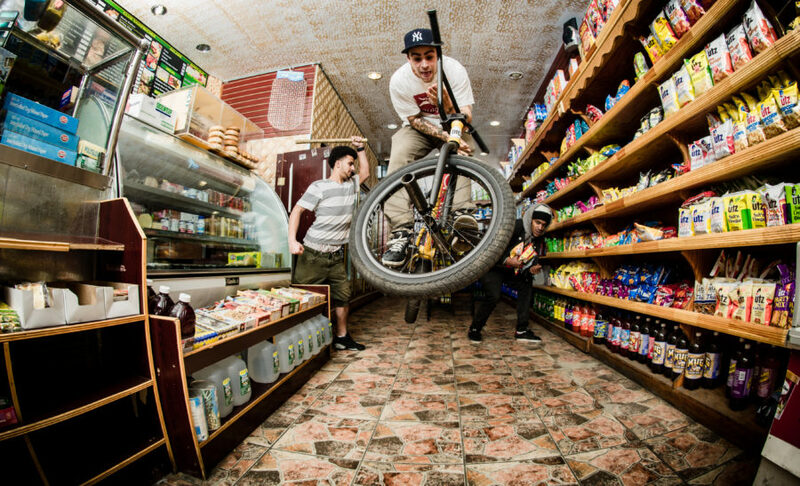 We caught up with Johnny to see what he’s riding, and why! Check it out. 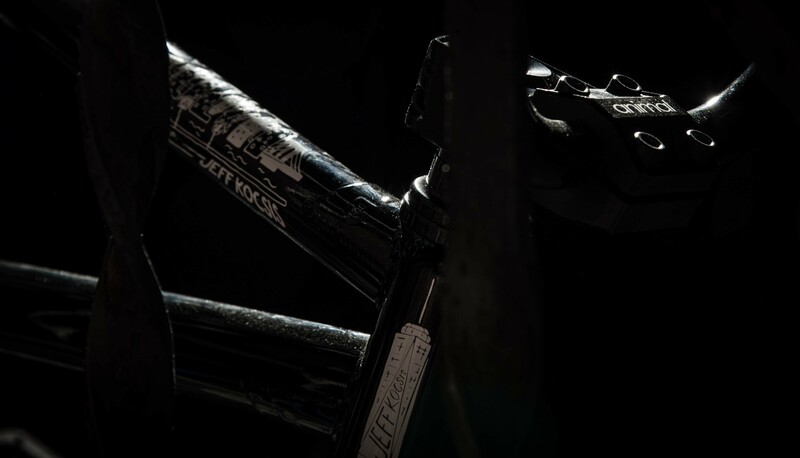 What parts on your bike are you most psyched on right now and why? I’d say I’m most hyped on the new Rat Trap pedals. They have a nice wide platform with a perfect amount of pins. 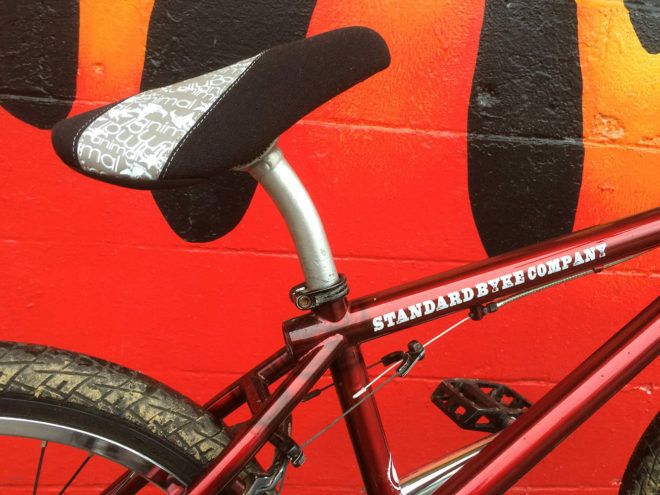 They feel so good for things like tailwhips and crankflips. 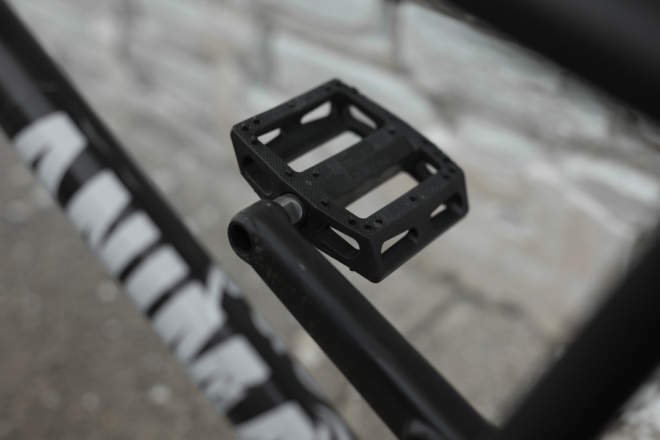 The wide platform makes it a lot easier to catch pedals and to spot your pedals when they come around. 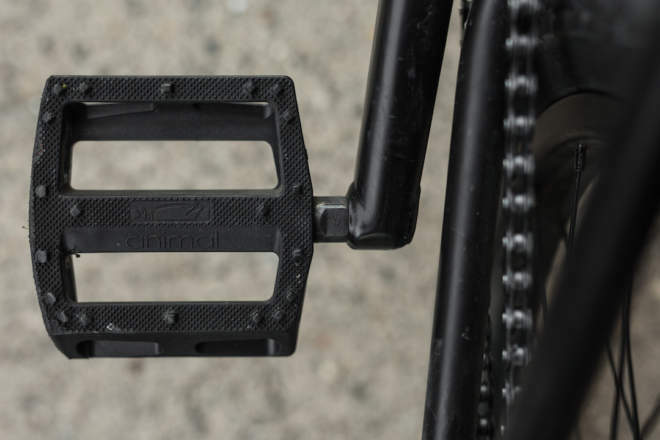 How do the Rat Trap Pedals compare to Pedals you’ve run in the past? The Rat Trap pedals have to be my favorite pedals I’ve ever had. Other pedals that I’ve tried in the past have had a really small platform, making it uncomfortable for my feet. I always wished I had a pedal with more pins as well, and the Rat Traps are exactly that. They have a great sized platform and a lot more pins than the average pedal. 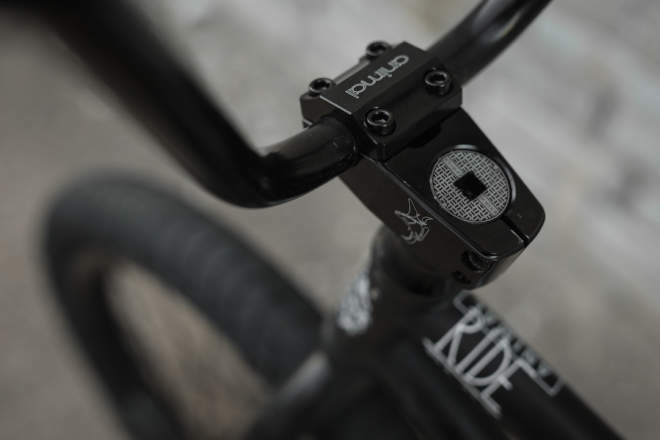 The corner pins are perfect, so often with other pedals if you land a little sideways or with your feet a little bit out of place you’ll slide right off. But with the corner pins your feet stay locked on, even when over rotating a 3 or catching a whip with your feet a bit out of place. You recently switched over to GLH tires in the front and back, how have they been feeling? 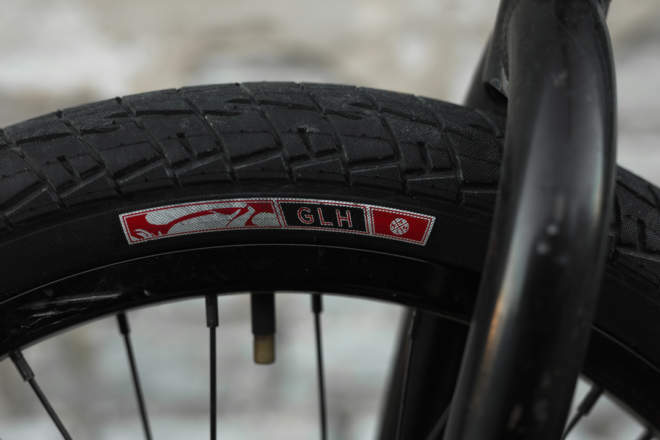 Ya I’d always loved how the GLH tires looked and have always heard about how long lasting they are. So it was really exciting to throw them on, I haven’t ridden them for very long yet but I’ve been loving them so far. 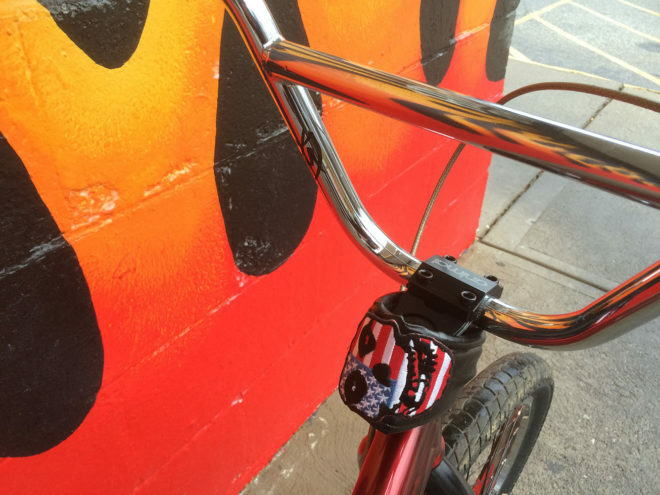 You’re riding Colin Varanyak’s signature Empire State Bars, what are your favorite things about them? I’ve been riding Colin’s Empire State bars for quite awhile now. I recently went up to the 9.5 rise which is the tallest I’ve ever ran and have been loving them. 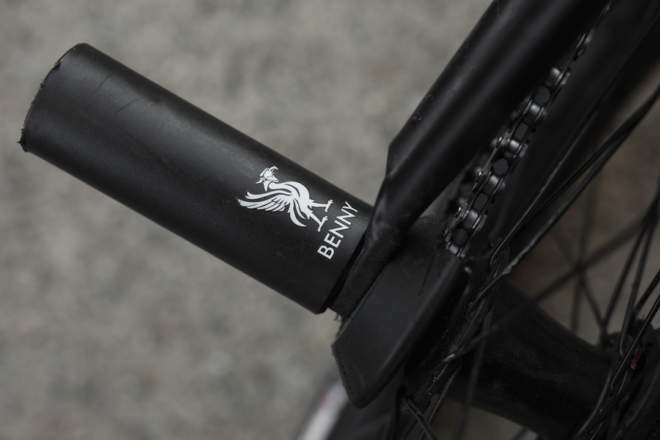 I’ve honestly never paid attention much to bar geometry but I’ve always loved the way these bars have felt and looked ever since I first got them. 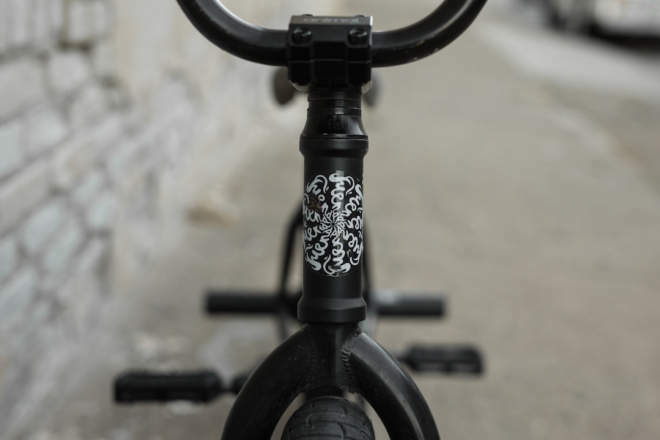 What are some specifics of how you like your bike set up? The thing I’m most picky about on my bike is how responsive it feels. 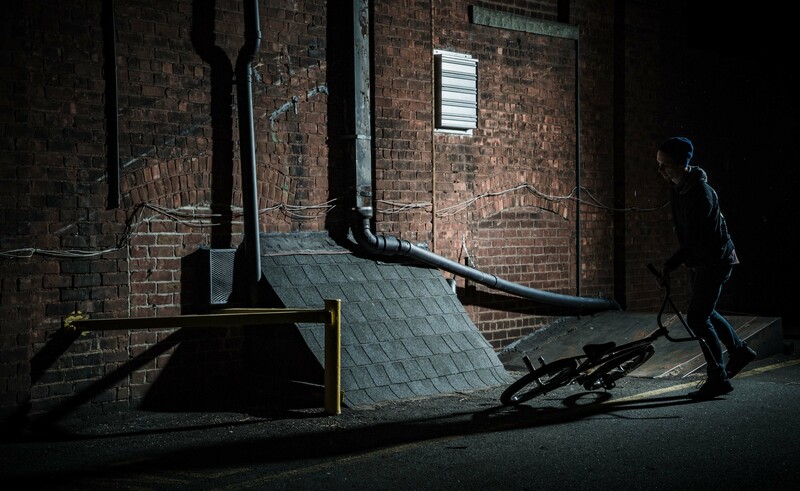 The Varanyak frame really helps with just about everything I do, the short back end makes everything so much quicker and easier. 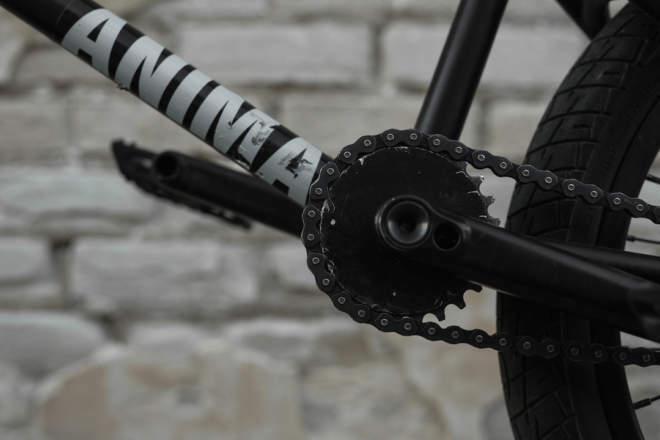 My cranks and chain always have to be loose. It feels so good being able to do crankflips without ever worrying about if they will come around or not. 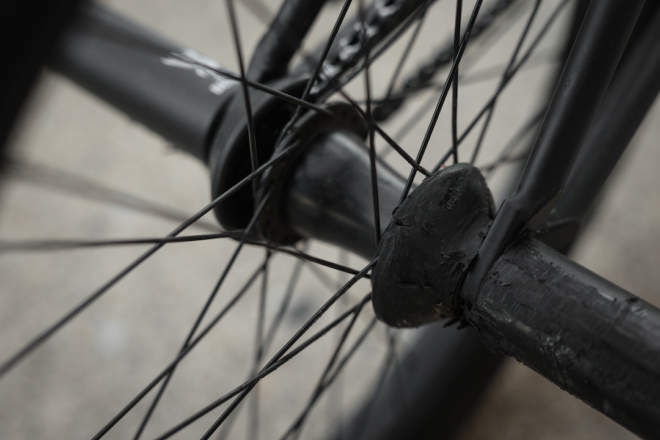 That feeling is never really possible with a really tight chain or cranks. 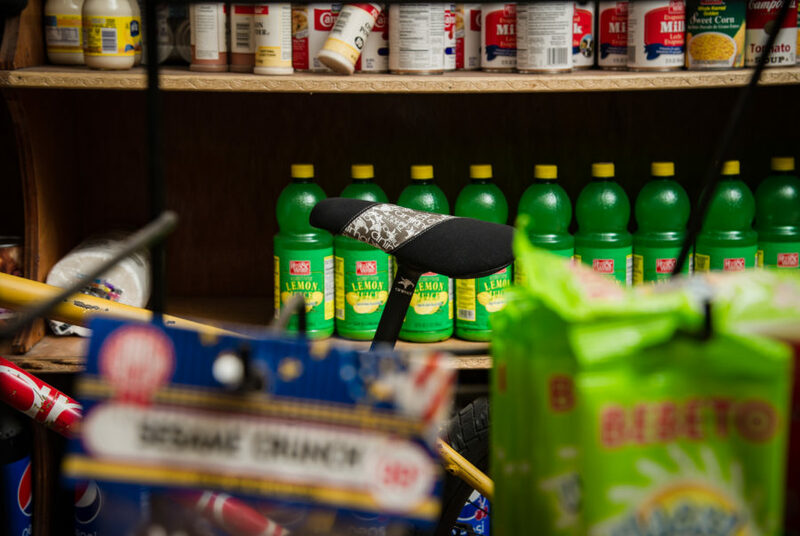 Short cranks, plastic pegs, and a top load stem are also essentials for my bike. 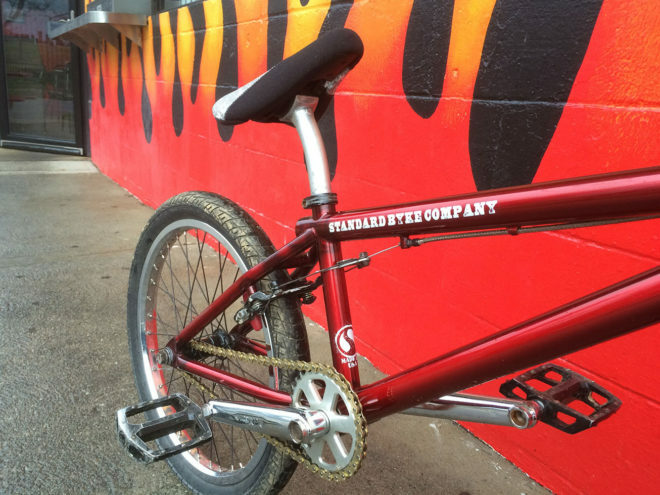 OG legend, Steven Hamilton, is still killing the game with his unique take on the streets. 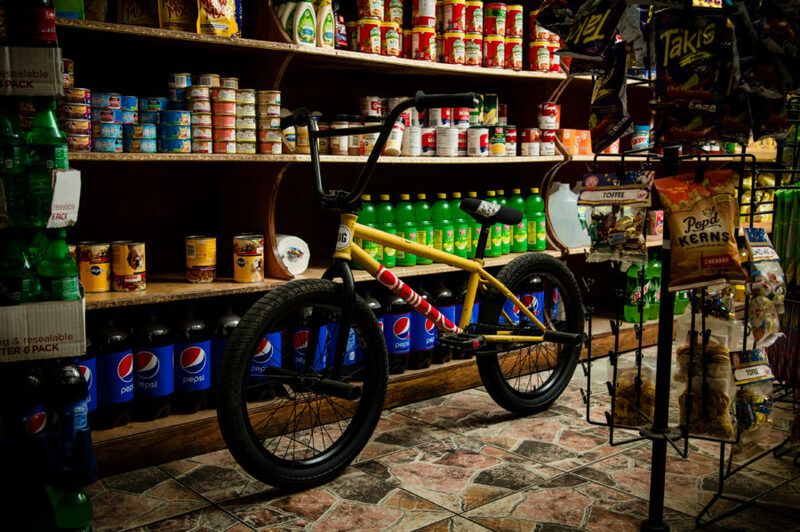 Check out his latest set up featuring a mix of old and new. (check that laid back post). 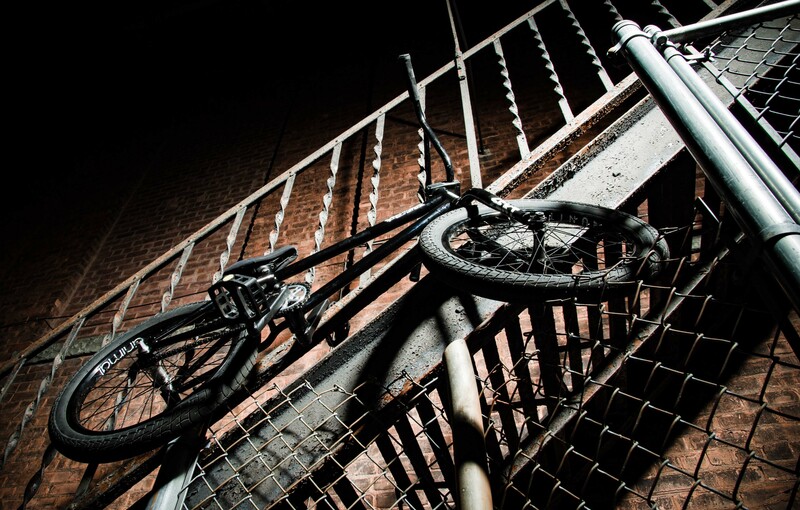 Also, don’t miss his latest mix of clips on the Ride BMX site. See link below. Check out his latest work right here. Check in for a night session with Animal Bikes lifer, Jeff Kocsis, and find out what parts he trusts to bring his signature steeze to the streets! 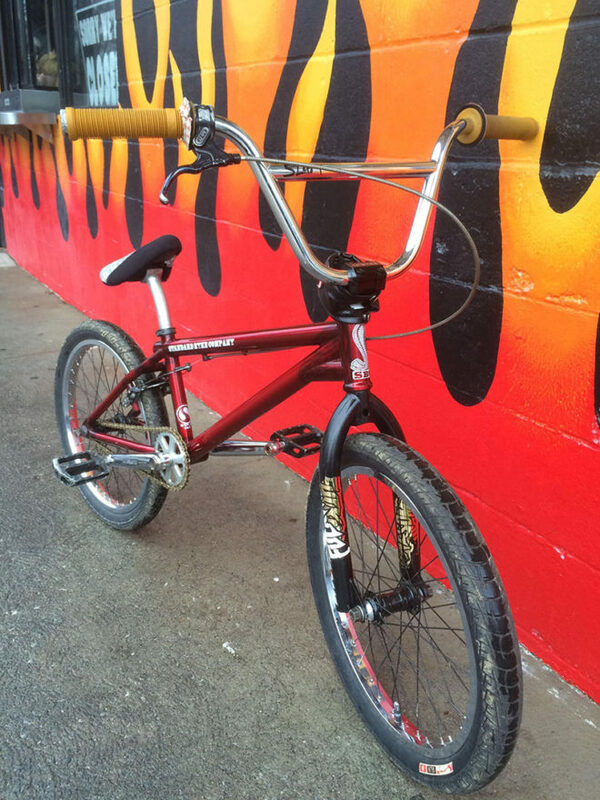 Catch some words from the man himself and pics of the whip below. 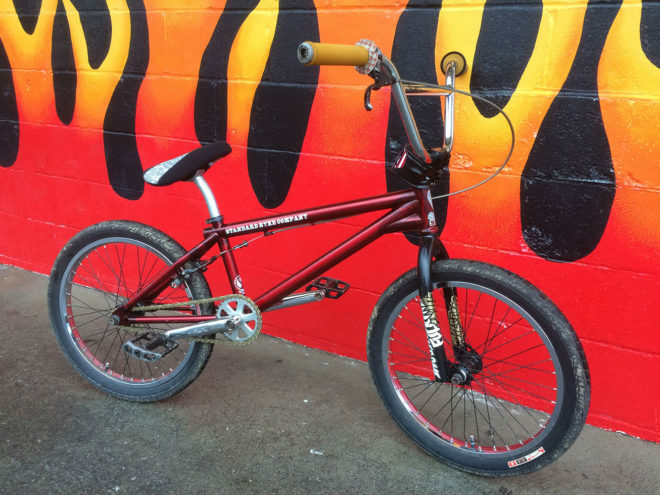 “Hey everyone just wanna say in advance thanks for taking the time out and reading about my bike and why I ride what I do…..
My bike has been split perfectly into two of the most respectable hard working companies in BMX, Animal and United. 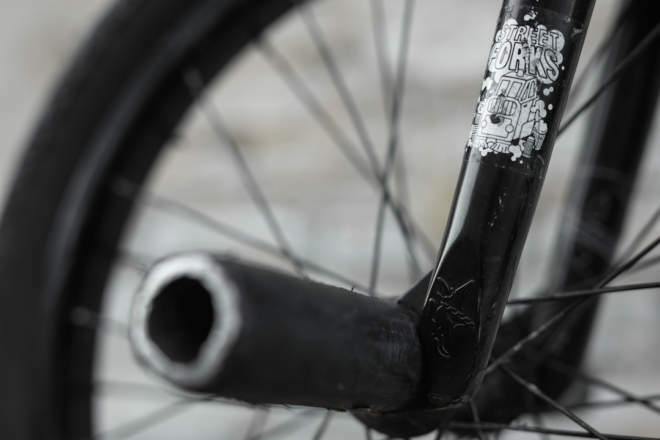 They produce toughest and most durable parts that do not sacrifice style. 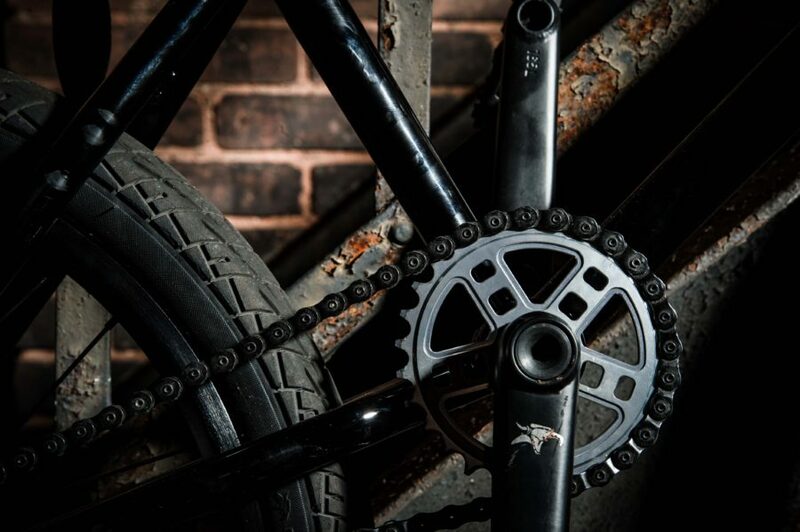 With an M5 sprocket and 165 Akimbo cranks, Jeff can have full confidence in his drivetrain. 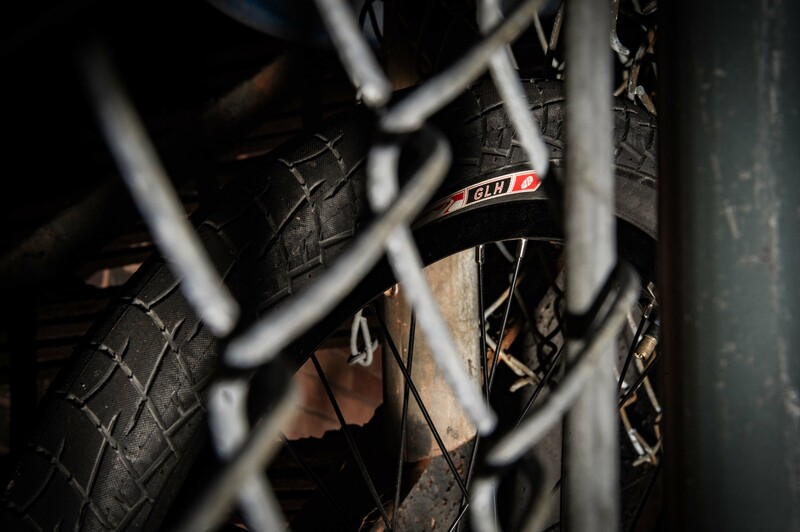 Jeff’s bike wouldn’t be complete without a pair of tires synonymous with the streets, which is why he keeps the GLH tires in rotation! No tight bank is safe while Jeff is around.